Condition: Skin and hair in need of natural nourishment. 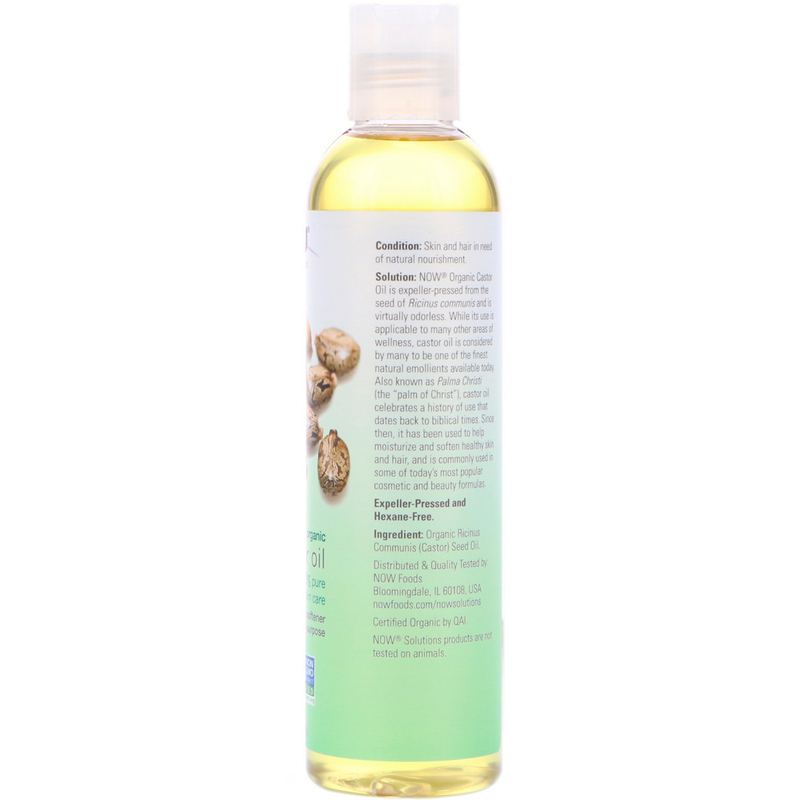 Solution: NOW Organic Castor Oil is expeller-pressed from the seed of Ricinus communis and is virtually odorless. While its use is applicable to many other areas of wellness, Castor Oil is considered by many to be one of the finest natural skin emollients available today. Also known as Palma Christi (the “Palm of Christ”), castor oil celebrates a history of use that dates back to biblical times. Since then, it has been used to help moisturize and soften healthy skin and hair, and is commonly used in some of today’s most popular cosmetic and beauty formulas. NOW Solutions is the next step in the evolution of personal care products. This comprehensive natural line encompasses moisturizes and serums, bath and body oils, shampoos and conditioners, oral care, skin care, and essential oils, all of which are formulated with the finest functional ingredients from around the world. NOW Solution products avoid harsh chemicals and synthetic ingredients in our formulations, to provide a more natural product line. 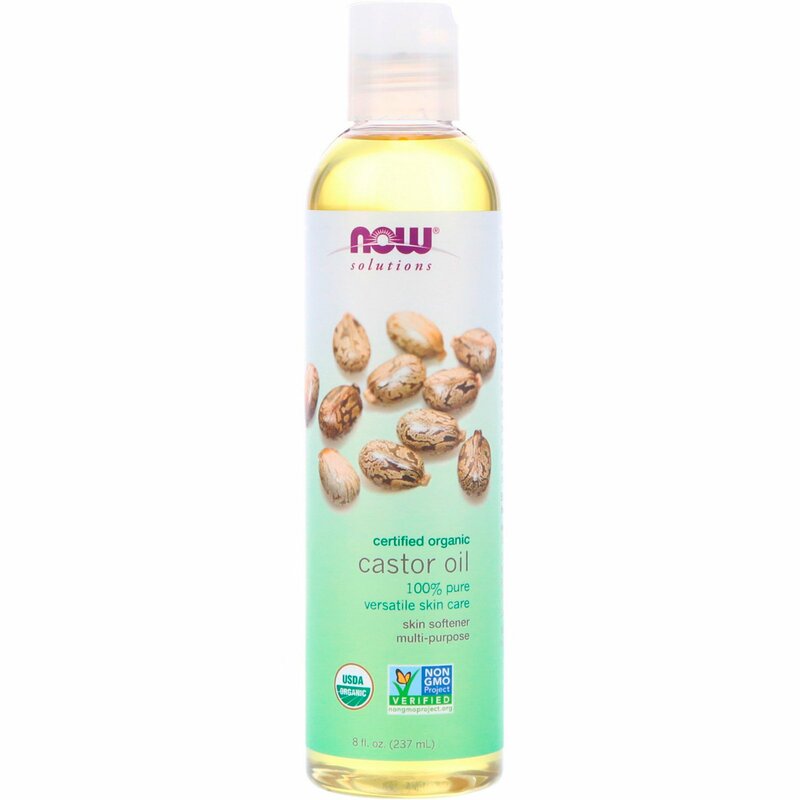 For topical applications, apply a few drops of castor oil to the desired area and massage as needed. For soft hair, simply add a few drops to your favorite shampoo prior to washing.